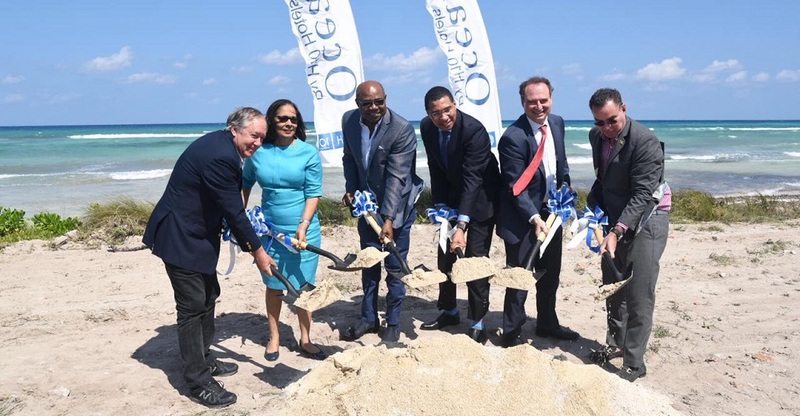 #MontegoBay, February 8, 2019 – Jamaica – Ground was broken for the new Ocean Coral Spring Hotel in Falmouth, Trelawny, on February 6 by Prime Minister, the Most Hon. Andrew Holness. The US$250-million project is being undertaken by the Spanish hotel chain, H10, and will include construction of 1,000 new rooms, 500 of which are expected to be completed by the end of the year. The chain also has 50 hotels in 18 other destinations. In his address, the Prime Minister commended the Spanish hotel chain for its investment, calling it a major boost for tourism and a testament to the Government’s glowing economic policies. “One of the most important things that any Government can do is to create the regulatory environment where businesses can make decisions,” Mr. Holness said. “This Government has created a fiscal environment that is certain. You know that when you make your investment here, you are not at a risk of unplanned and unexpected taxes,” he added. Mr. Holness said Jamaica’s economic climate is now on such solid ground that there are many new projects in the pipeline as well as many more on the horizon. “We have many projects that are now under consideration. These projects come across my desk and we are trying to move them through very quickly. Still much more work needs to be done at the regulatory and approval levels to ensure that we get projects through. Even though we are amazed at the speed of these projects, you would be even more amazed at what is in the pipeline,” he noted. The Prime Minister said that while the Government must at all times be in full compliance with the law, it also has a responsibility to ensure that projects are not being unnecessarily delayed. He said the Government must find a balance in complying with rules and regulations, while delivering results in a timely fashion. “Jamaica is at the stage where it has to refine its ability… its skill… its dexterity in meeting compliance issues, but at the same time getting results quickly,” Mr. Holness emphasised. “This is why I am making the commitment to the country that the reforms that we are doing in Government will ensure that you have an agile and dexterous Government that will be both compliant with the rules and regulations but at the same time delivering results as quickly as possible,” he added. The Prime Minister said the Government cannot allow itself to be an impediment to business, but must, instead, fulfil its role in removing “all the blockages” to ensure that the projects “can flow through”. He further pointed out that the Government’s strategy has always been to improve on the micro economy, where full attention is paid to getting projects off the ground. 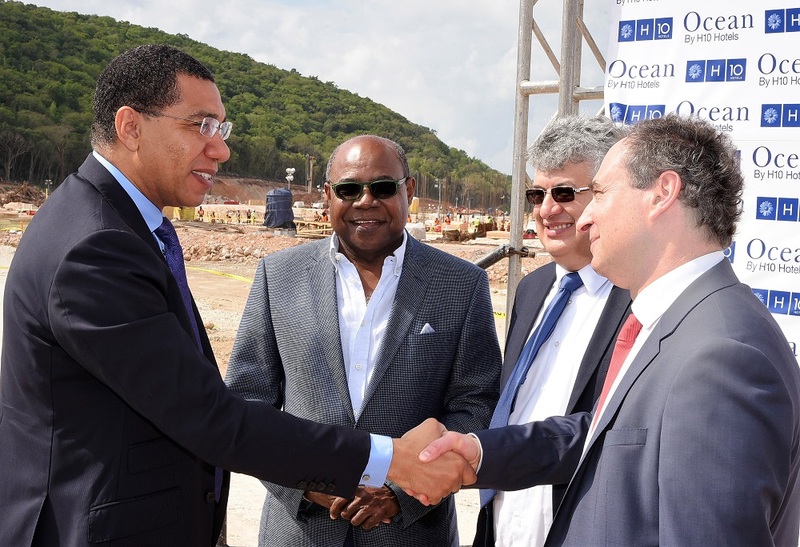 “A big part of it is to pay attention to the speed of business… how fast can we make this project happen…from conception to cutting the ribbon,” Mr. Holness said. 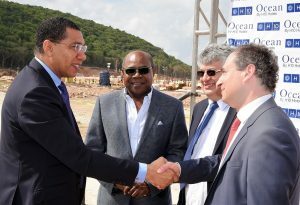 “The Government’s role is, therefore, very critical, and this is why I was so happy to hear the developers commend JAMPRO and the other agencies, as well as Minister Daryl Vaz and the facilitating role played by the Ministry of Economic Growth and Job Creation, in getting this project off the ground,” he noted.